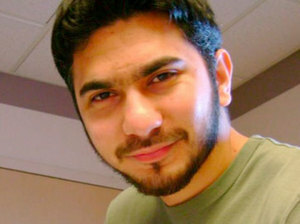 Irtiqa: Who/What created Faisal Shahzad? I have just returned from the annual meeting of the Association of Physicians of Pakistani descent of North-American (APPNA) in Dallas. There were, as usual, couple of sessions dealing with political issues relevant to Pakistan and Pakistani-Americans. One of the dominant themes, of course, was Faisal Shahzad - the Time Square Bomber. It was interesting (though not surprising) that couple of speakers raised the issue of the potential impact on the Pakistani community in the US, if there is a successful attack on American soil by an educated Pakistani, like Faisal Shahzad. This is an uncharted territory. I actually don't know the potential reaction to such an idiocy - but this is something that we (Pakistanis living in the US) have to seriously ponder. Pervez Hoodbhoy was at the APPNA meeting as well and was one of the speakers who dealt with the topic of Faisal Shahzad. His main emphasis was on the conditions in Pakistan that are proving to be fertile grounds for people like Faisal Shahzad. The unabated hate-speech in mosques and on television against minorities, paranoia and conspiracy theories, problematic curricula, etc. are all contributing factors for extremism. But what really set Faisal Shahzad off was the broad narrative that there is a war going on between US and Islam. Yes, US foreign policy has been very problematic and drone attacks are not helping either, but according to Pervez (and I agree with him wholly on this), the main war in Pakistan is between the Saudi version of intolerant Islam (Wahabis or their South Asian cousins, the Deobandis) versus the more moderate Islam inspired by the Sufism (Barelvis in South Asia). Of course, this was tragically demonstrated this past Thursday with the abhorrent twin suicide bombings at Data-Darbar - the shrine of Data Gunj Bukhsh, a Persian saint and one of the most revered sufis in Pakistan. 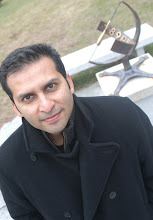 Like Changez, the protagonist of Hamid's book, Faisal Shahzad looks to be someone who embraced the American dream. He seemed to have a good job, a stable marriage and a nice house in the suburbs. But Hamid says that there's a political dimension to being a Pakistani-American that can generate feelings of conflict. "It's very easy, if you come from a place like Pakistan, to imagine that there's a narrative of American aggression towards the place that you come from. But that, in itself, is just a political view. What makes it more dangerous is if it can coincide with a personal story," Hamid says. "In my novel the personal story is a man who is in America, but after a failed love affair and numerous other things, he is emotionally damaged by his time in the USA. And then he starts looking for where he should fit in. And that search takes him back to where he comes from." Hamid suggests that feeling such conflict or uncertainty about where he fits could lead a man to "delink" from America. "For some people, like myself, that's not a difficult thing. You think, 'I'm a bit of both, I'm a hybridized person. That's fine.' But for others, it can be, 'I have to reject one of these two things that are confusing me.' And in this case it's rejecting America, trying to be just Pakistani or just Muslim. Which, of course, isn't true to your own experience and isn't even true to your own identity. But if you begin to walk that path, it can lead to dangerous places." And this storyline is not unique to America. Many of the Pakistani-born men charged with terrorism in Europe have similar profiles: suburban comfort, good education, relative family wealth. Which seems to run counter the popular idea that terrorism is largely bred and nourished in madrassas and among the disenfranchised. Hamid says the type of terrorist typified by his novel — and brought to America's attention in the person of Shahzad — is a "phenomenon of globalization. It's about two cultures touching each other and in the process of touching each other, generating this anger." "You have people who come from one culture, live in another, enter a state of turmoil and then lash out. It's not just a Pakistani man who has come to America, it's a Pakistani-American man who can't stand being Pakistani-American any longer." While the process of Shahzad's adjudication may highlight that tension, Hamid says that more interaction between the two cultures, not less, is the key to a happier existence for those who might feel drawn by different loyalties. I think Mohsin is right on the money here. I will throw in another bit: the search for doing something meaningful in life (i.e. thinking beyond one's self). In a perverse way, the script for martyrdom (as Pervez Hoodbhoy was hinting at) can then perhaps provide a means for achieving this "meaning". Of course, we are trying to explain this with a a very small number of statistics - as not everyone who goes through this identity crisis becomes a suicide bomber. But even then, we have to take a deeper look at all the variables. Since I have given you a reference to a book already, I cannot end this post without a movie recommendation. If you haven't seen it, check out My Son the Fanatic. It is written by Hanif Kureishi, and is about the challenges of second generation Pakistanis in England. 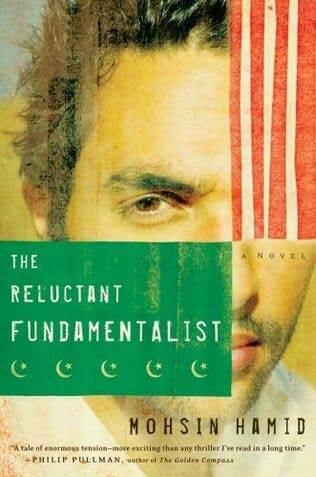 This movie came out in the late 1990s and can serve as an excellent compliment to The Reluctant Fundamentalist. If you do see it, please sit through the end-credits. A possible resolution of the film lies in there. If you are interested in the topic of the psychology of suicide bombers, check out this lecture video by cognitive anthropologist, Scott Atran.